X-MEN: SECOND COMING tie-in! 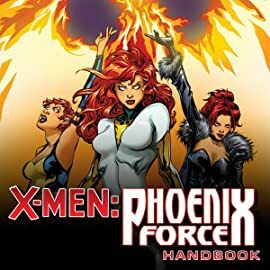 This Official Handbook of the Marvel Universe brings you all things Phoenix! 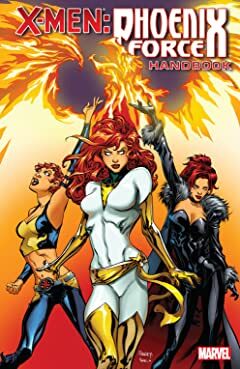 Comprehensive biographies of the Phoenix Force and the characters closely tied to it: Jean Grey! Rachel Summers! Madelyne Pryor! The threats they've faced: the Scy'ar Tal! The Crazy Gang! Krakoa! Frenzy! Nanny! The allies they've fought beside: Lilandra! Rusty Collins! Alistair Stuart! Corsair! Widget! And, of course, the mutant everyone's watching: Hope Summers! Featuring profiles and art for dozens of characters!